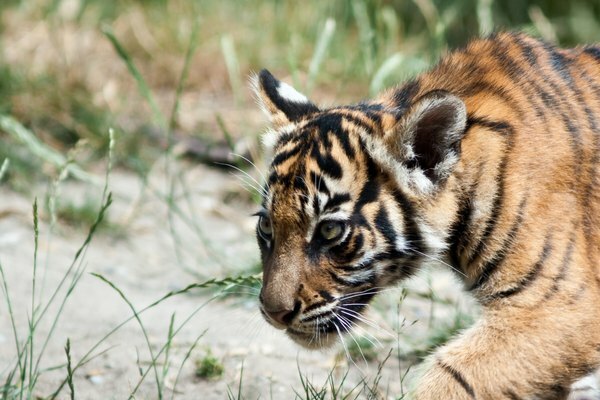 There's nothing cuter than baby animals, and baby tigers are no exception. While the tiger, or Pantheri tigris, a large cat native to parts of Asia, India and Russia can weigh in at over 300 pounds and measure over 12 feet in length, they start off really tiny and completely helpless. About three and a half months after mating with a male tiger, the female tiger gives birth to her litter of cubs. She will usually choose a spot that's secluded and covered to have her babies. Typically, the birth of a litter of cubs takes about an hour, with cubs being born every 15 to 20 minutes. Cubs weigh approximately two pounds when they are born, and are blind and utterly dependent on their mother for food and protection. 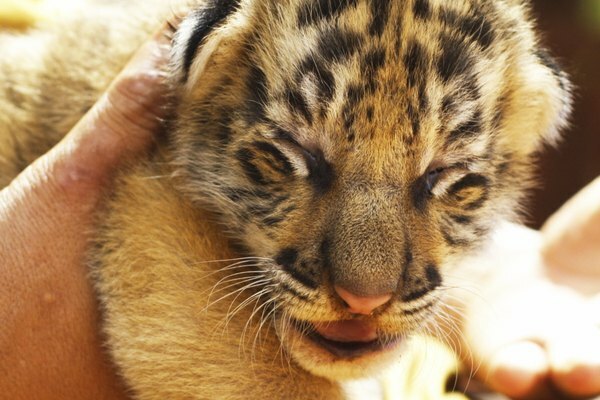 After the tiger cubs are born, the mother tiger will eat the umbilical cord, placenta and embryonic sac. She cleans each cub by licking it with her rough tongue. The cubs then search for a teat in order to nurse, which is no easy feat since they can't see! This can take up to four hours, and because the mother tiger does not assist her cubs in locating a teat, sometimes cubs starve to death. In captivity, tiger keepers often lead the cub to a teat so it can begin nursing. Though a female tiger gives birth to two to seven cubs in a litter, usually not all of the cubs survive. Often, the mother tiger cannot find enough food to feed herself and all of the cubs. Because of this, usually only two of the cubs in the litter survive to adulthood. The cubs nurse with their mother until they are about 24 weeks old. 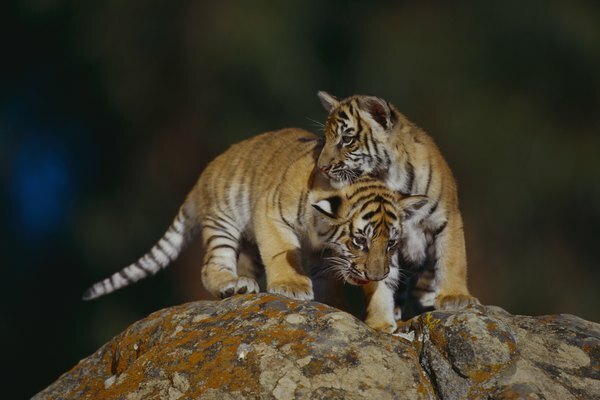 At that point, the mother tiger begins to bring the cubs prey to eat such as buffalo, wild pigs, deer or other animals. The cubs cannot hunt on their own until they are approximately one and a half years old. After spending about two to three years with their mother, the cubs establish their own territories. Sometimes, especially if the cub is a female, this new territory is close to the mother’s. 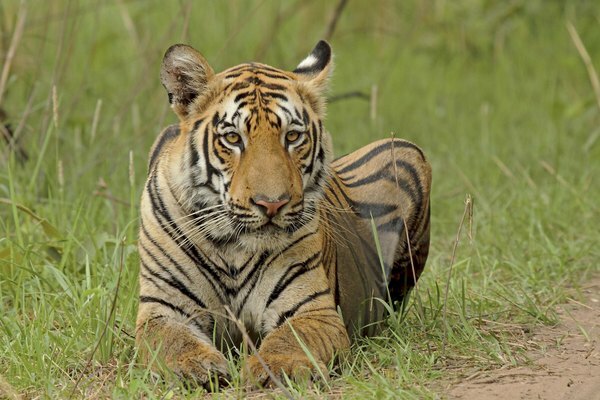 In the wild, tigers can live from 15 to 20 years, and up to 25 years in captivity.